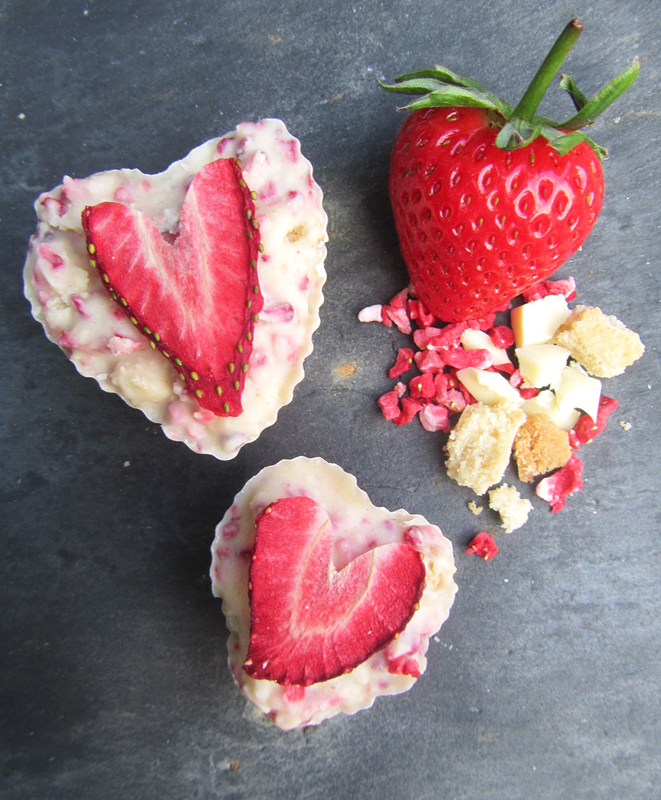 My Strawberry Tiffin Hearts are bite size treats with hearts of strawberries sure to satisfy the sweetest of tooth’s. Like my Strawberry Love Pops the hearts are made up from all the left over ingredients I had on my work top after creating my Strawberry Shortbread Hearts. Tiffin inspired they contain dried fruit in the form of strawberries as opposed to the traditional raisin, making them fresher and more fragrant. The nuggets of broken up shortbread add a satisfying crunch against the creaminess of the white chocolate which pairs perfectly with the strawberries.